Garage, Garbage Everywhere – A Primer on Solid Waste Management – Redlog Environmental Ltd.
Over the last twenty years I have travelled extensively across Asia and visited countless industrial facilities, including those in primary (extractive), secondary (manufacturing) and tertiary (services) sectors. Regardless of the sector, one of the greatest challenges faced by these companies – and also one of the most commonly overlooked and poorly managed – pertains to solid waste. Common waste management issues that I typically observe are lack of knowledge of solid waste classification, mixing of waste streams, improper or poor condition of waste storage facilities and bins, lack of proper documentation (waste inventories and manifests), and lack of knowledge/concern about where the waste is being disposed. In this blog post I will briefly discuss each one of these issues in turn, and in future blog posts I will go to get into more details on some of the most challenging solid waste management issues. Let’s begin this discussion with a definition of solid waste. Recyclables/Salvage – Most of us are aware of the typical wastes that can be recycled or salvaged, e.g., paper, cardboard, wood, metal, glass, drums/cans, expired materials, etc. Oily/Hydrocarbon/Solvents Wastes – This is a broad category and includes used oil, waste oil/lubricants/solvents, oil filters, used oily rags/absorbents, solvents, paints, etc. Some of these wastes may or may not be recyclable, treated as general waste or classified as hazardous waste, depending upon their specific characteristics and where you operate. Hazardous Waste – As per the Basel Convention, which has been ratified by virtually every country other than the US, hazardous waste is defined such that it must both be listed and possess a characteristic such as being explosive, flammable, toxic, or corrosive. Radioactive Waste – We are all of course familiar the high-level nuclear waste from nuclear reactors and wastes from uranium mines. Fortunately most of us do not need to deal with these wastes. But, there are many sources of radioactive wastes that HSE personnel do come across routinely, particular in medical fields, academic research institutes, and industrial uses/equipment such as irradiators, gauging devices, well-logging devices, and industrial radiography systems. E-Waste – Electronic waste or e-waste includes discarded electrical or electronic devices, and these wastes may be reused, sold, salvaged, recycled or disposed of depending upon your location and the type and quantities available. Food/Organic Waste – This category includes material that is biodegradable and derived from plants or animals. These wastes will be broken down naturally over time and may be used as compost. Medical Waste – Medical waste or health-care waste are generated by health care activities includes a broad range of materials, from used needles and syringes to soiled dressings, body parts, diagnostic samples, blood, chemicals, pharmaceuticals, medical devices and radioactive materials. General Waste – This category is effectively everything else that does not fall into the above categories, and might for instance include debris/construction waste, packaging/containers, old/damaged equipment and parts, mixed non-hazardous waste, plastics, disposable PPE, etc. Mixing of wastes in a complex issue. In lieu of a detailed discussion on this topic, it is best to store each waste stream separately. This includes, for example, assuring segregation of a hazardous waste with non-hazardous waste or materials, different types (categories) of hazardous waste with each other, and waste oils with different characteristics. Improper segregation of waste streams may lead to additional and unnecessary disposal costs, e.g., mixing hazardous waste with non-hazardous waste may render all wastes to be classified as hazardous and disposed of accordingly. As noted above, it is important to segregate your waste streams, at least to the extent that each waste is treated and disposed of separately. There are often specific jurisdictional requirements for storage and if not there are definitely standard practices that should be followed with respect to storage areas, waste segregation, types and condition of containers, labelling and identification of wastes, etc. Where Does Your Waste End Up? Why Should You Care? Great. You’ve managed to convince the staff at your facilities to dispose of the waste in the correct bins. The waste storage area and waste containers are in tip-top condition. You’ve documented your waste properly. You are using a locally approved contractor to collect and dispose of the waste in a government-approved landfill. Time to relax? Maybe. But first I suggest that you are sure that your waste is ending up where it is supposed to be disposed. I have heard (and seen) far too incidents of waste of all types being improperly disposed of, even by the licensed contractors. Or, in other cases the local “landfill”may pose a problem. For instance, years ago I was working with a multinational client in Vietnam and we were carrying out a due diligence of their waste management system. The client had all the proper waste documentation and was using a locally registered and approved waste disposal company, which in turn was disposing of the garbage at an approved “landfill”. We drove to the “landfill” to inspect the facilities. It turned out that the “landfill” was no more than an open dump, complete with bare-foot kids playing on the garbage pile. Following that trip, the client modified their disposal practices such that all sharp objects and potentially hazardous items were no longer sent to that site – rather they were stored on site pending a better disposal solution. This type of situation is not at all unusual across much of Asia (and the rest of the developing world for that matter), and leads to a very challenging issue of how to dispose of waste in a responsible manner when local facilities are lacking. This is particularly troublesome when dealing with hazardous wastes, sharp objects, etc. 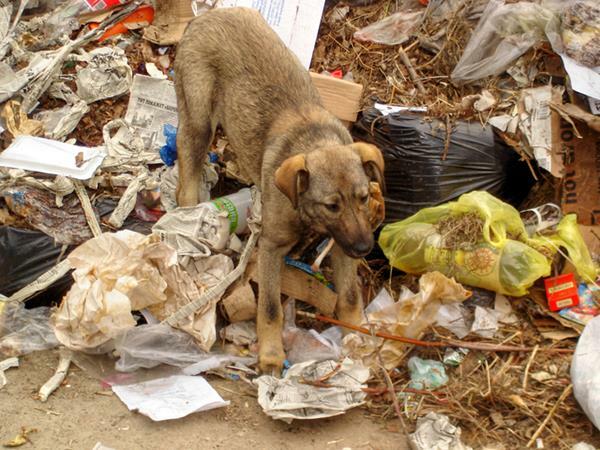 that can directly and adversely affect the health and safety of garbage pickers and others that might be exposed to improperly disposed wastes. I will discuss this issue in detail in a future blog post. The topic of solid waste management in developing countries is one that is very interesting to me and there are many social and economic issues beyond the HSE issues that we typically consider. If you are interested in this topic, please sign up or visit the blog over the next couple months. In particular I will be posting blogs on the behaviour of littering/site housekeeping, recycling, composting, e-waste management and hazardous waste management; all will be written with an emphasis on the challenges and realities of managing these issues at facilities in developing countries. Next Week’s Blog Topic: Littering and Site Housekeeping… Or, Why Are We Slobs? Posted in Asia, Environment, HSE and tagged Hazardous Waste Management, Solid Waste Management. Yes, every bit a relevant today as previously (assuming you are referring to the issues of lack of proper disposal facilities). In fact, now with expanding population, increased industrialization and urbanization I am sure it is a much greater problem than in the past. There are of course proven and emerging technologies for handling and disposing of waste, but they are not being implemented in most developing countries do to a myriad of reasons – not least of which is costs. So, in my opinion until we all learn to make less waste in the first place I do not think we will solve these issues. I didn’t realize that there are so many different types of waste that need to be taken care of. Waste like food waste, or even recyclable waste that needs to be put in the right place. it is great that there are companies that can help get the waste to the places it needs to be. Thanks for the comment. Feel free to comment anytime! I agree with a lot of what your article discusses, in particular, the paragraph that discussed Storage of Solid Waste as I have tried this method of segregating wastes. Excellent Blog!! I came across your blog, and there I found information about Rising In Solid Waste Poses A Threat To The Rising Population.It’s very informative information for us Thanks for sharing this information. Thanks for reading and glad you found the post useful. As far as I know, most of the communities today have proper waste disposal policies. It’s good news since we need to take care of our planet because it’s slowly dying due to our negligence. I agree that without proper segregation the waste would all be classified as hazardous which will undergo unnecessary disposal. Thanks for the information! Certainly in most western countries, but they are sadly lacking across the developing world. Thank you for sharing this. This is what I would like to teach my class. I was wondering if you could recommend a Primer of Solid Waste Management book? I am well aware that hospitals are taking measures to keep a sterile environment to help patients recover and avoid any doctor or nurse from getting sick. When I read that they can produce waste such as used needles, dressings, and syringes, an idea popped into my head. Is it cost-effective for a hospital to hire a waste disposal company to take care of their wastes for them? In the developed countries where there are both regulations and enforcement, many hospitals will have their own waste incinerator in site, and smaller clinics will use the service of a waste management firm. However, in the developing world, this is mostly lacking and it is not unusual to find medical waste disposed of in dump site for all types of waste and this a serious issue as I am sure you can imagine.